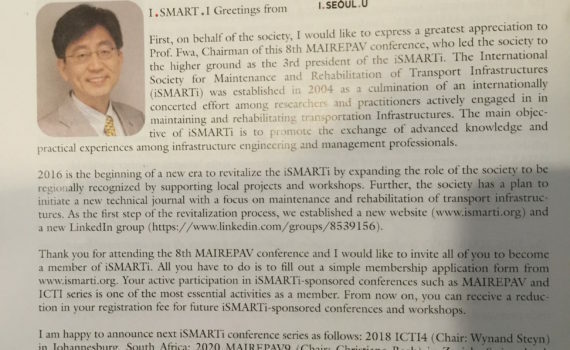 We are delighted to announce that Infrastructures is an affiliated journal to International Society for Maintenance and Rehabilitation of Transport Infrastructures (iSMARTi). 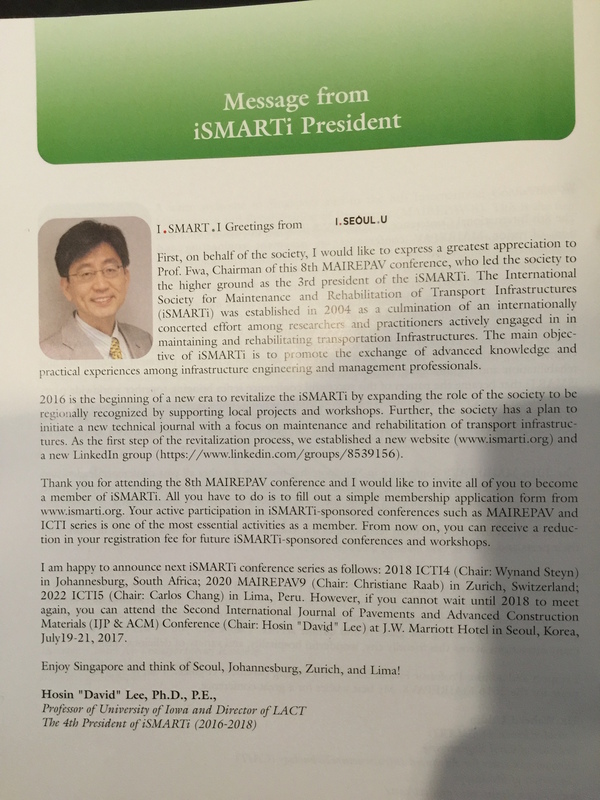 iSMARTi will be promoted to all authors submitting to Infrastructures, thus helping increase its visibility and attracting more members to the society by encouraging them to apply for a membership in iSMARTi. We recommend Infrastructures to our members as a preferred journal. Infrastructures (ISSN 2412-3811, www.mdpi.com/journal/infrastructures) is an international scientific open access journal covering all aspects of infrastructure engineering published quarterly online by MDPI. It is in rapid publication, free for readers and free publication for well-prepared manuscripts submitted in 2018. Manuscripts are peer-reviewed and a first decision provided to authors approximately 31.5 days after submission, and acceptance to publication is undertaken in 6 days. iSMARTi members will receive a 10–20% discount on article processing fees from the moment the journal will start charging an article processing fee. Dedicated Special Issues related to the iSMARTi conferences, to include selected papers published in open access form, at a discounted fee. iSMARTi conferences will be posted on the Infrastructures journal homepage and Sciforum.net platform can be used free of charge for organizing the iSMARTi conferences. Infrastructures journal will provide various sponsored activities at the iSMARTi conferences, e.g., best poster award, best presentation award, young scientist award, travel grant for PhD or postdocs, etc. iSMARTi members can use the Preprints service http://www.preprints.org where authors can make their manuscripts public before peer review.